Our workshop is usually booked up a few days ahead so call us on 01273 675754 to book in your bike. For a full price list/quote give us a call or drop in! This is the full service, it'll be running like new once we're done! The whole bike will be tuned, adjusted and cleaned. Full breakdown below (plus the cost of any parts). Give your drivetrain a deep clean in our Parts Washer. This service will be carried out by our Bosch Trained mechanics. Your bike will receive a Firmware Update for all Shimano & Bosch e-bikes. Give your drivetrain a clean in our Parts Washer. Frame and other parts are hand washed. Bosch Diagnostics certificate, displaying the current usage of the bike. ​Baker St Bikes prides itself on the excellent service we provide to our customers. Our business success is built entirely on recommendations from existing customers, and because of that we ensure that the service we give is always first class. Baker Street Bikes technicians have a wealth of industry experience with all kinds of bikes and we can offer servicing, repairs, overhauls, strip-downs or modifications on any kind of bike. We will repair anything from a child's bike to top of the range customised road and mountain bikes. 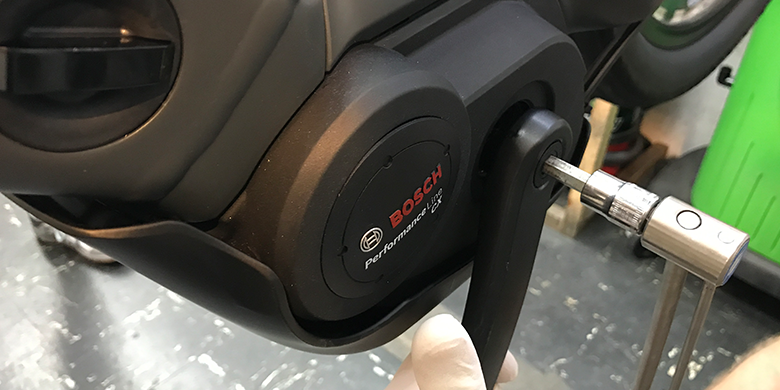 What's more the recommendation of our many club and association customers means that your bike will receive total attention to detail, every time.